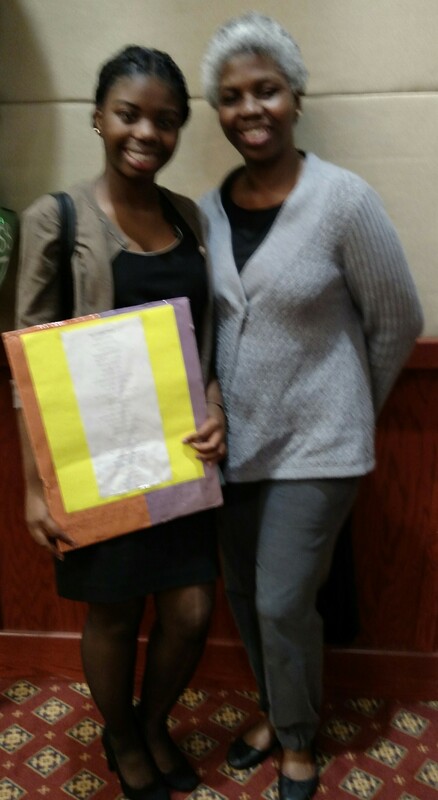 It was our distinct pleasure to once again make a presentation to a Wyandanch Memorial High School Creative Empowerment Arts Contest Winner. 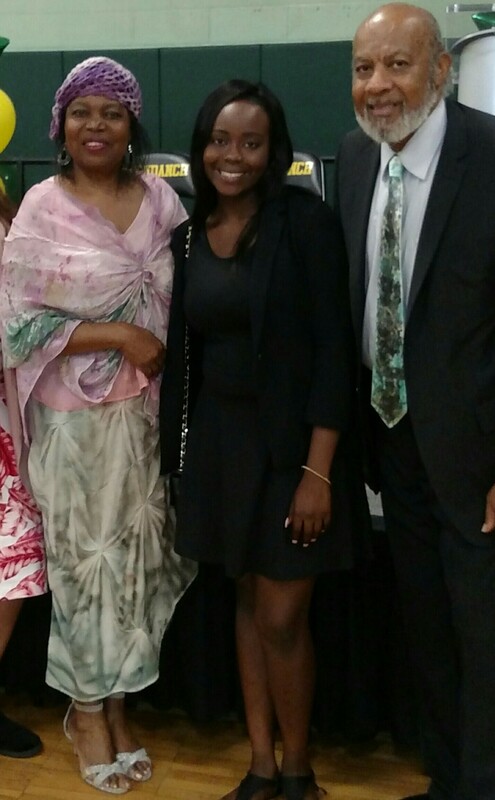 This year’s winner, Pierrelande Saint Cyr, who received a runner-up award of a $500.00 college scholarship is pictured with Your Time For Creative Empowerment, Inc.’s Founder/CEO, Mrs. Madona Cole-Lacy and Program Director, Mr. James Lacy. 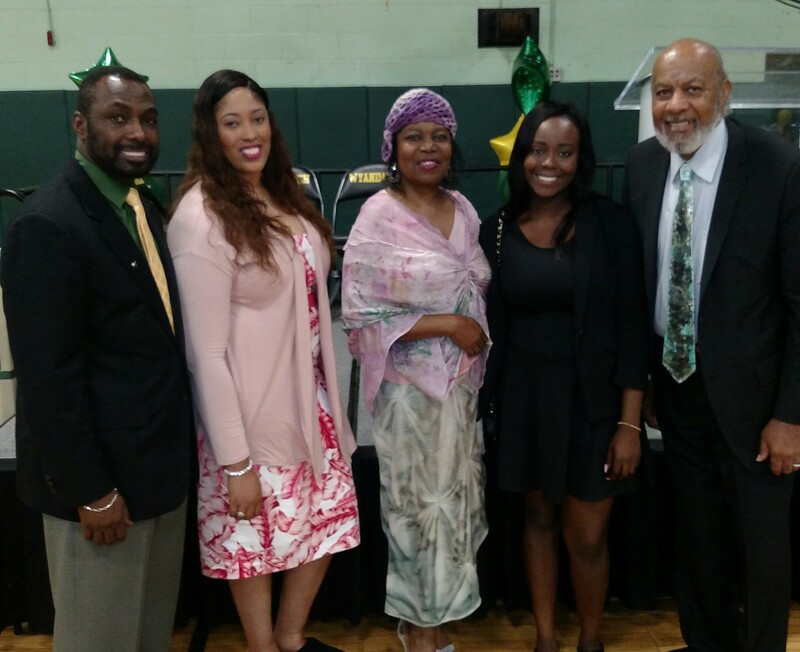 While this event was no exception, one thing that stood out at the ceremony that deserves mentioning is the fact that roughly 99% of scholarship recepients were attired for success in some form. 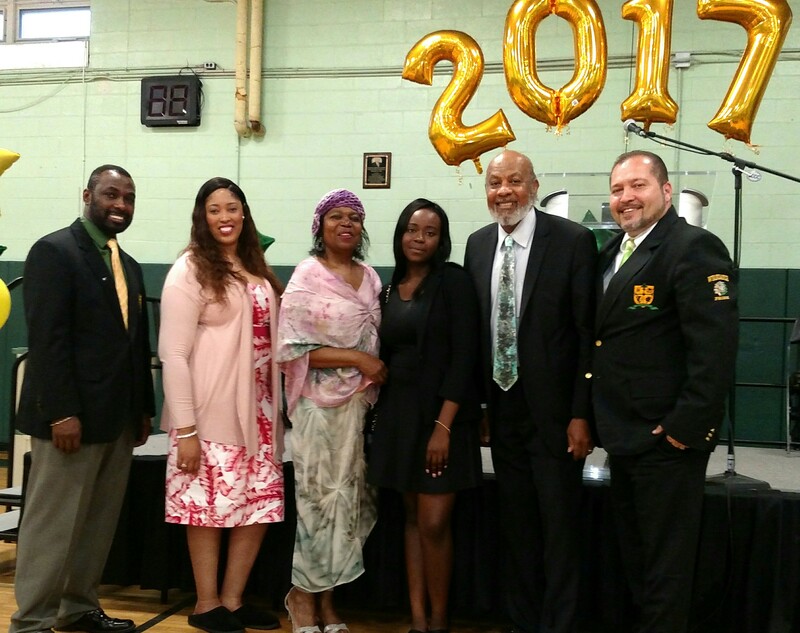 Kudos to Principal Paul Sibblies, Guidance Counselor Tifanny Kee, staff, parents and last but not least, the students themselves who followed guidance, and kept the focus of the event on scholarship and dignity by being appropriately attired! When was the last time you went to a holiday social gathering and walked away sober, intellectually intact, motivated, and self-assured you were in the driver’s seat of self-improvement? For me, it was a week ago when involved family members, and the children they passionately support, assembled for an ‘impromptu’ get-together. This exceptional experience has left me hoping that there were many more of such events around the country – and the world – at a time when we celebrate peace, love and goodwill to all men. It was the thought of maintaining a strong bond with the people we serve through participation in meaningful ways, that caused us to press on with the idea of reaching out to parents and students who have participated in Your Time For Creative Empowerment, Inc.‘s workshops as a holiday activity – with only a week’s advance notice. I had no idea who would want to show up and for what reason they would want to do so – or even what good reason they would have to stay away. My faith in mankind and determination to implement creative ways to form critical partnerships and identify the needs of those we serve was more in focus than the “what if?”, failure-bound, second-guessing position that can occasionally sneak up on people and overpower them. I am writing this post to shine the spotlight on a remarkable cadre of people who joined us for a casual get-together that was clearly driven by openness to personal and social enrichment that Your Time For Creative Empowerment, Inc. has gained a reputation for providing. I know better than to entertain the thought that, by virtue of their association with the organization, this stellar group of people navigated the evening by giving back to us what we have given to them in the past. My educated guess is that students, parents, grandparents, grand aunts and community leaders who are on a mission, showed up to bring to the table the unique gifts they possess that they recognize are vital to the existence and good health of the organization. I thank you for being an integral part of this vision. To those well-wishers, parents and volunteers who could not join us for this family gathering, we acknowledge your importance in this equation and hope to see you soon. Thank you for your support. Below are highlights of some of the lessons taught by and learned from our insightful youth at what turned out to be an evening which embodied the elements of a lesson plan for Social Gathering 101. 4. JOY – people need joy; giving to the needy; giving joy to others; everything you give – — your love is joy. Please click on this link to make a difference in the lives of the youth and families we serve. Your Time For Creative Empowerment, Inc. is a 501(c)(3) nonprofit corporation that educates and empowers children, adolescents and parents of both secular and faith-based communities in the Long Island area, through the use of art, fashion and culture as mechanisms to improve interpersonal relationships; to avoid pitfalls that are unique to life in the 21st Century; and to specifically identify and effectively develop healthy problem-solving, enhance personal development and increase cultural sensitivity. We Thank our Food Donors, Panera Bread (Doherty Enterprises), Dino Pizza and Italian Restaurant and our Volunteers. We are particularly touched by the kindness of the parent who brought in some water. Thank You! Mr. Caleb Garard, our Medical Doctor of Tomorrow! Brighter Prospects are in the Works for Familes and Communities that Work Together! With our Annual Fundraising Event around the corner, we graciously welcome your involvement in Your Time For Creative Empowerment Inc. If you cannot physically chip in your time, a donation will register your support of our mission quite well. Thank you for your consideration. It is with open arms and an open mind that I serve as the Founder and CEO of a non-profit that I believe has such great potential to blossom. The key to Community service, as modeled by my parents when I was young and impressionable is unequivocal selflessness. It is not possible to effectively serve with ‘reservation’. This is where the open arms, heart and mind policy comes to play. Service- whether socially or spiritually based – I believe, should be positioned to address the needs of those who feel they can use what the provider has to offer. It should be devoid of biases, personal vendettas or anything that casts a shadow of insincerity. It is unfortunate that what can be characterized as innate discriminatory practices, more often than not, come to play in this process and muddy things up. When the absence of open mindedness is not wreaking havoc with the obstacles and barriers that otherwise ‘well-meaning’ people place in the way of others, it is busy reinforcing the superiority complex in others who simply ‘know’ this can’t be for them even though it is this very practice of denial that has created a need for service. This, to say the least, is not for the faint of heart. It must be emphasized here that most people who serve, do so, looking for nothing in return as they bless others with what they have been blessed with. How does one rise above this, and continue to serve with open arms, heart and mind – even in the midst of man-made psychological hurricanes? Introspection – a serious look into the essence of my being. Why am no I here? Where do I see myself in the bigger picture of the fabric of mankind or humanity? Commitment: How badly do I feel the need to be of service to my fellow man, knowing that I have no control over who will or will not appreciate my efforts? How willing am I to learn new ways to handle my life so that the service I render is more complimentary rather than a distraction to me? Determination – How strong is my desire to stay the course- no matter what or who for that matter, becomes an obstacle in my way? What would it take to derail me, if anything? Empathy: How am I doing in the unwavering love, respect, and understanding for my fellow man/woman department? How capable am I of feeling agape love, respect and compassion to the extent that I can understand and appreciate the plight of others around me? Do I have a desire to relate to others who are ‘not like me’, or am I embarking on a solely self-serving journey? It is the “there but for the grace of God go I” reality of life that keeps one grounded and humbled enough to serve with open hands, mind and heart. It is my wish that this post, which was inspired by a WordPress One Word Prompt, will encourage others to develop their own list of self-help service-related tools. * Improve interpersonal relationships* Avoid pitfalls that are unique to life in the 21st Century * Specifically identify and effectively develop healthy problem-solving* Enhance personal development and increase cultural sensitivity. As the school year winds down this week after a hectic year for dedicated staff and administrators, we celebrate students who went above and beyond expectations. I say, “well done” to these students, some of whom I had the pleasure of experiencing at their Senior Awards event. It is my hope that parents, guardians and community members would take a moment to tell a student in their lives, how much they appreciate the hard work that they have put into making the year a successful one. It is easier and quite natural for the high achievers to receive compliments for obvious reasons, but let us not forget those who are striving to get there – those who also have their eyes on the prize, even though their individual life situations do not lend themselves to instant success. Such students could use some encouragement and cheerleading along the way to excellence. As I wish our youth a safe and exciting summer vacation experience, I would like to share yet another attempt at video-editing of the final 2015/16 school year Creative Empowerment Arts Scholarship presentation awarded to Visual Arts Winner Jhalisa Bayer, and Runner Up Dany Mazariegos (in absentia) of the Wyandanch Memorial High School on June 9, 2016. 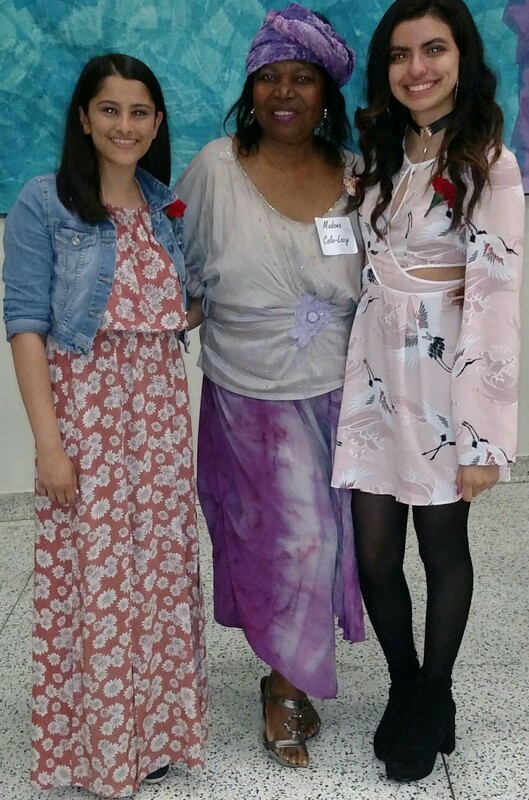 We were happy to see Melchizedek Aarons, last school year’s Geoffrey and Ivonne Canada Scholar and Your Time For Creative Empowerment, Inc. Creative Empowerment Arts College Scholarship recipient in the music category. Mel who has just completed his freshman year at Lincoln University, will be on hand to share his expertise on how to achieve balance at college. As we further attempt to encourage dialogue amongst youth peers, we have also invited Marie Saint-Cyr, a 2014 Creative Empowerment Arts contestant, to make a presentation on what it takes to prepare for, and successfully study abroad. Marie, who has just completed her freshman year at F.I.T was also able to navigate her way to and through a study abroad opportunity. An exciting time awaits! Here is an introduction to Marie’s Spring Semester Abroad. I would like to conclude this post by underscoring the reason why Your Time For Creative Empowerment, Inc. was birthed. Our mission is to provide creative ways to effect youth and family empowerment in light of the challenges and pitfalls of the 21st Century. The programs and activities we offer, are designed to benefit students and families of the human race, regardless of their social or economic status. This is borne from my discovery as a licensed New York State teacher who had the privilege of demonstrating that teaching reading, writing and arithmetic is only a fraction of the task teachers are charged with doing. Another source of inspiration is the realization that the challenges of life and pitfalls are no respecter of money or perceived racial, political and social superiority. This is enough to embolden me to ask you, the reader, and the world at large to support us and similar youth empowerment initiatives as an investment in leaders of tomorrow. Yes, multi-tasking does not afford me an opportunity to specialize in any one of the areas of the multiple hats I wear. It is my hope that my call for like-minded folks with a bit of time to spare will soon find its way into the hearts of those who can volunteer in the video-editing area of need, as well as, other areas of need. Since we take the well-being of those we serve seriously, we ask that you please work with us by supplying verifiable information on your registration form if you want to be considered as a member of our pool of Resource Persons. We can work with you better when we understand your interest in joining us. Please click on the image below to sign up or support us. Your Time for Creative Empowerment is a 501(c)(3) nonprofit corporation that educates and empowers children, adolescents and parents of both secular and faith-based communities in the Long Island area, through the use of the arts, fashion and culture as mechanisms to: * Improve interpersonal relationships* Avoid pitfalls that are unique to life in the 21st Century * Specifically identify and effectively develop healthy problem-solving* Enhance personal development and increase cultural sensitivity. Our Warmest Gratitude to all who contributed to the success of Your Time For Creative Empowerment, Inc.’s Scholarship and Fundraising Gala on Saturday, November 21, 2015. 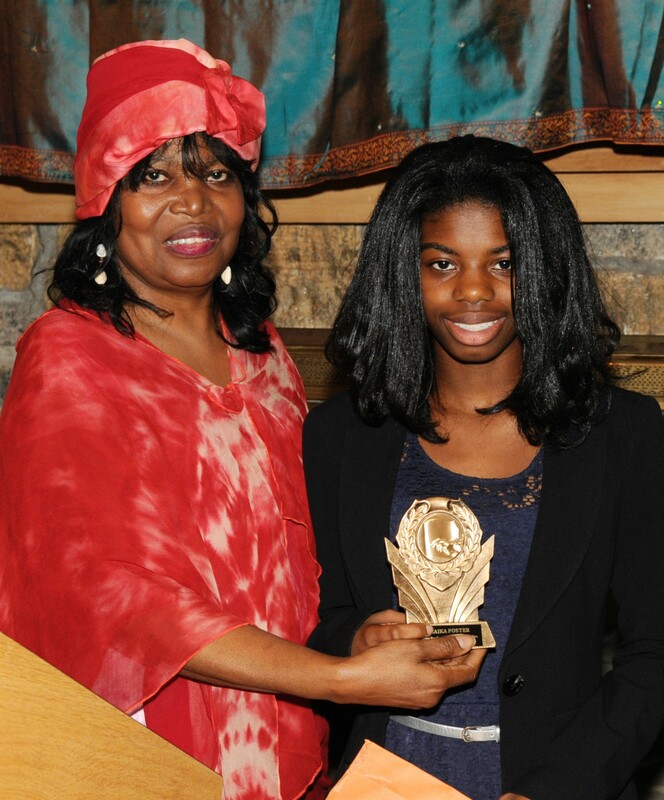 The room was filled to capacity as parents, students, public officials, community members, honorees, their friends and families assembled at the Merrick Golf Club House to celebrate the Supportive Spirits of our honorees and the Creative Spirits the Creative Arts Contest participants. 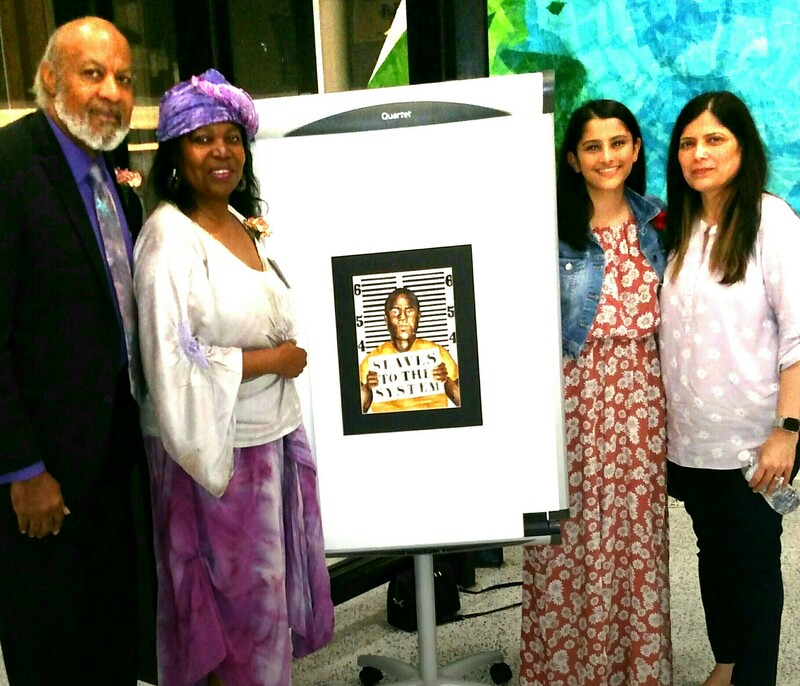 As the spirits of volunteerism and support were embraced and celebrated, so were the respective voices of Long Island’s youth through their Creatively Empowering expressions. There was something for everyone. The spiritually-focused who, as a rule, embrace and celebrate the uniqueness of others were well fed, as was the curiosity of the creative-minded! Warm gratitude must be extended to County Executive Mangano for recognizing our honorees with a citation presented to them on his behalf by his Deputy County Executive, Dr. Phillip Elliott, who in the capacity of an ordained minister, offered the invocation for the evening. Also on hand with citations, was Councilwoman Viviana Russell of the Town of North Hempstead. 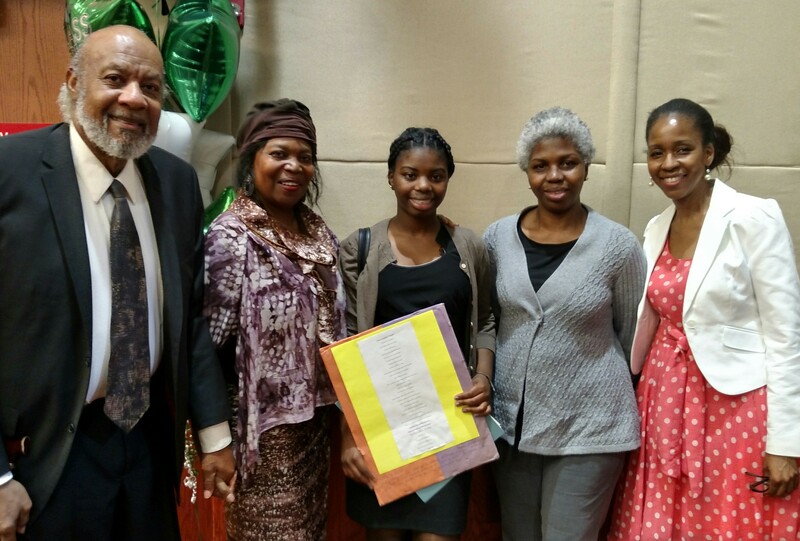 Town of Hempstead Councilwoman, Dorothy Goosby, provided a creatively designed citation to the organization which was very much in line with the wa y we encourage our youth to use their talents to meaningfully express themselves. We thank the Town of Hempstead Parks and Recreation Department for graciously hosting us, and appreciate the unwavering support and involvement of community organizations, businesses and individuals who stood out this time. 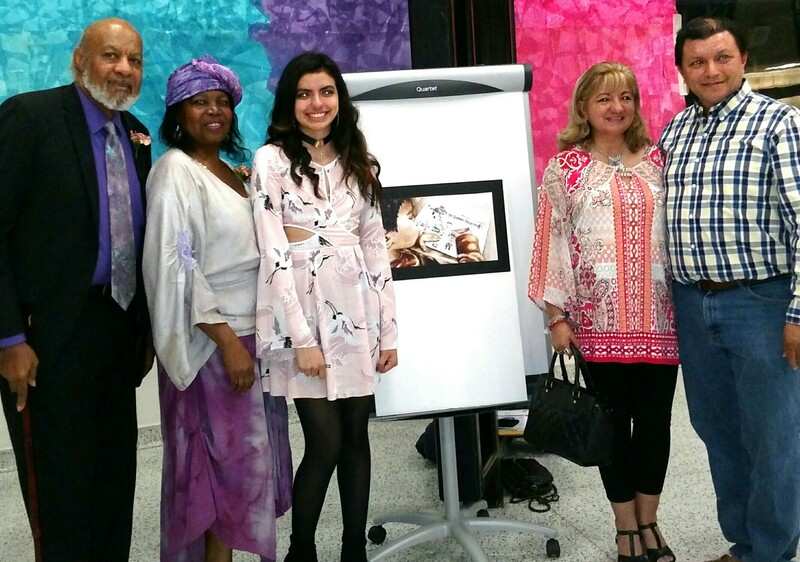 Thank you is in order to Mr. and Mrs. Desmond Morrison and Ms. Geraldine Gooding for traveling all the way from Maryland to support us, the Art League of Long Island, Colonial Flower Shop, and Havana Central. A special thank you goes out to our honorees (E. Vivienne Anderson, Florence Bell, Dr. John Clarke, Marjorie Whigham-Desir, Michael Desir, Alicia Figueras, Presiding Officer Duwayne Gregory, Terri Hall, Gail King, Zellin Lowe, Diane Lucas, Esq., Anita Marco, Felicia Serrette, Dr. Lizette Wright-Polk), without whom the evening would simply not have materialized had they not accepted our request to honor them for the role they have played in our quest to empower and embrace 21st Century youth in our own unique way. Ms. Cognac Wellerlane’s role in providing media coverage for the event has not been taken lightly, and neither has the task of our professional photographer, Frank Fontana of Fontana Studios in Merrick, the Print Cafe of Lynbrook for our printing needs, Tim Dorsey for providing music and Florence Bell for the beautifully set tables. Special thanks also are expressed to Mrs. Janet Gooding and Claudestine Williams-Tucker for their volunteer and community service assistance respectively with preparations for the event, and to Peer Leader Marie Saint-Cyr for gracing the event with her refreshing art work and for taking on the responsibility of greeting our guests at the registration table, Evynn McFall for onsite coordination, and last but by no means least, our Masters of Ceremony Shelly Cohen and Gregory Singer for their role in moving the program along. Rumor has it that the multi-ethnic culinary delights were well received by our guests! Bravo to all who came on board to make this happen, including The Island By The Sea Jamaican Restaurant of 300 Wellwood Avenue, Freeport, New York – our Primary Restaurant Food Sponsor. Havana Central from Roosevelt Field, the Imperial Diner of Merrick Road, Freeport, New York; and Ayhan’s Mediterranean Restaurant on Sunrise Highway in Baldwin also consented to participate. The labor of love of volunteers who prepared Sierra Leonean, Dominican and Southern culinary delights will never be forgotten. We are truly grateful for their help. 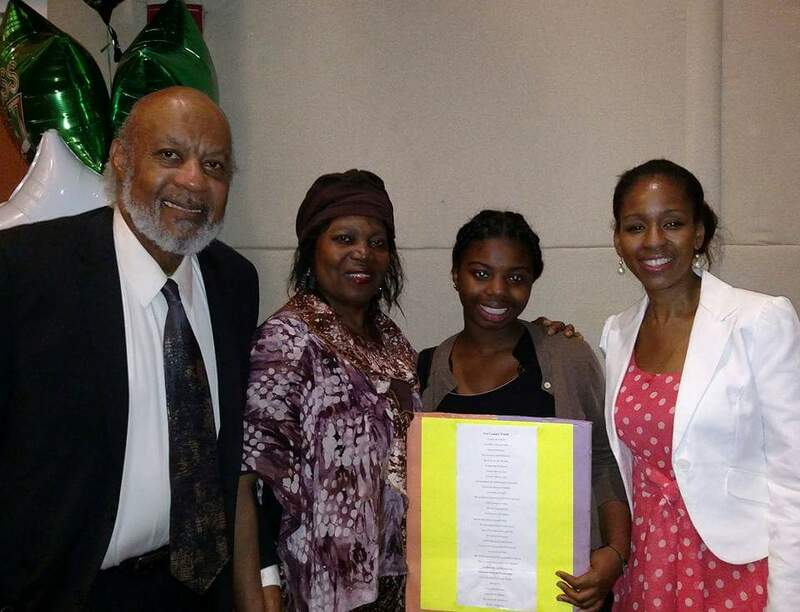 The stage was set, and the message was clear as Malachi Aarons join his brother Melchizedek Aarons (our 12 grade category 2014/15 Creative Empowerment Arts Contest Winner) to creatively express the art of collaboration through the saxophone and keyboard; Sisters, Brianna and Jasmine Gobourne, ministered in dance to honor their grandmother; the volunteer mother and son team of Marjorie Desir and Michael Desir that brought to light the axiom “if you show them, they will learn”. 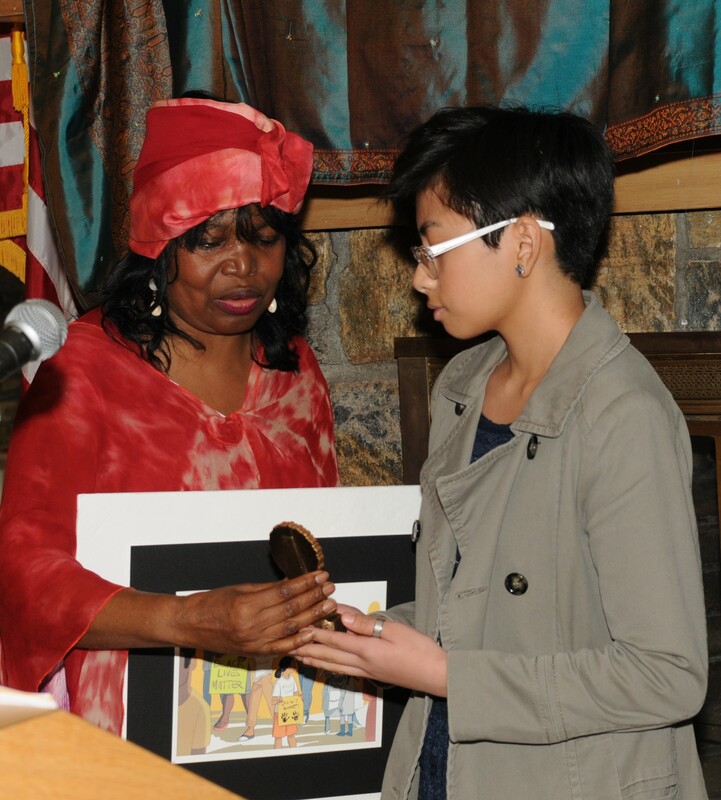 Also featured were the expressions of Contest first runner up, Glorieanne Quiban, who expressed her concern for the 21st century youth though her “Fighting for the Same Thing Now and Then” digital illustration which illustrates how nothing has changed since the 60’s when Black folks fought for their civil rights; and Malaika foster, who in poem, told us how the world we create affects her and her peers in a manner that calls for change through self-empowerment. 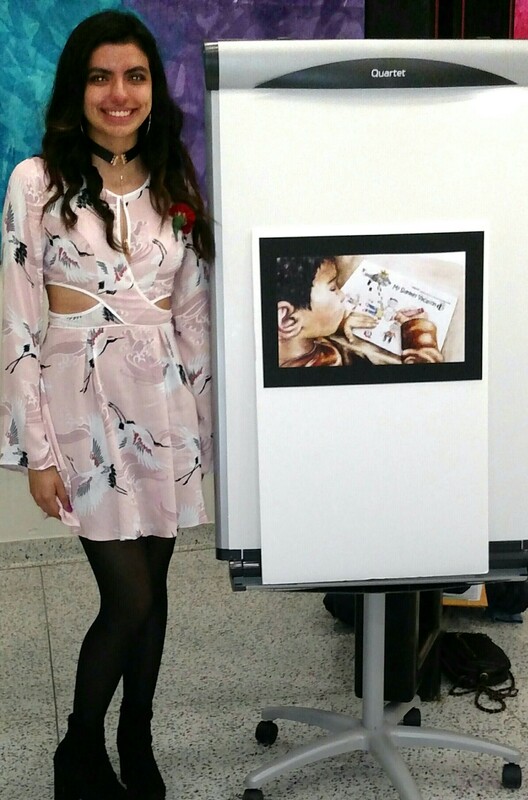 The visual art work “Deja Vu” of Dany Mazariegos symbolizes hope and faith – “the ability to persevere in the outside world’s negativity.” On her topic of choice, “The Broken Self Esteem”, the voice of Jhalisa Bayer was heard loudly and clearly through the summary of her winning entry in the visual arts category in which she talks about the damaging effects of the broken self esteem. 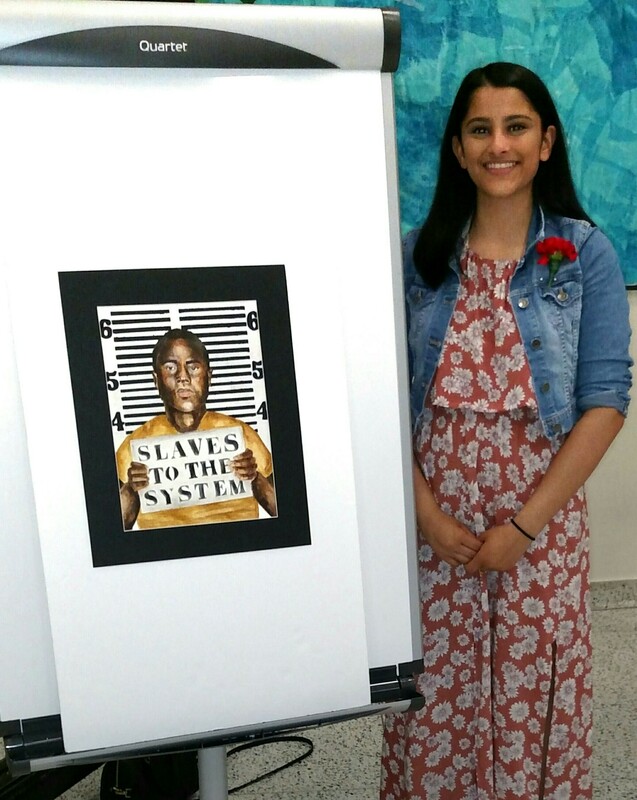 The 2014/15 Creative Empowerment winners are as follows: Malaika Foster – Elmont Memorial High School, 10th Grade Winner (Poem) ~ Jhalisa Bayer – Wyandanch Memorial High School, 11th Grade -Visual Arts Winner: pen, broken mirror pieces, hot glue, acrylic ~ Glorieanne Quiban – Farmingdale High School, 11th Grade – Visual Arts Runner Up: Digital Illustration ~ Dany Mazariegos – Wyandanch Memorial High School, 11th Grade -Visual Arts 2nd Runner Up: Drawing ~ Melchizedek Aarons – Wyandanch High School Graduate 12th Grade Winner – Music: Jazz – Saxophone. The evening wrapped up with a “surprise” presentation to Mr. James Lacy, the organization’s Program Director. The well-deserved Lifetime Achievement Supporter-In-Chief Integrity Award was presented to him as he was ministered to in dance and poetry by Liturgical Dancer Florence Bell in a public acknowledgement of the extraordinary support he has offered the organization in good health as well as in the wake of health challenges that take “in sickness and in health” to a whole new level.